Vox Photographs has an exhibition at their location on 334 Forest Ave in Portland. It is an exhibit celebrating spring, called “Natural” . 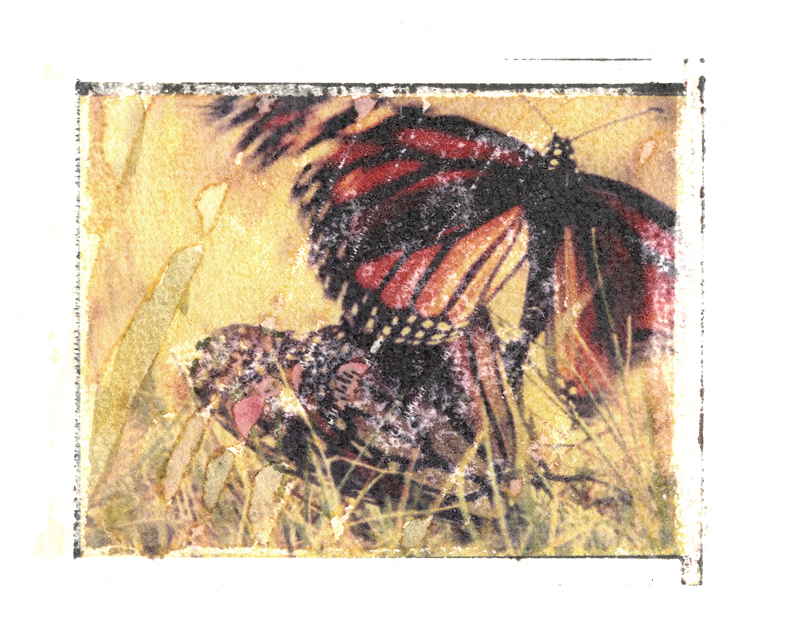 I am showing a print called “Rain Forest” which you can see on this website in the Gallery: Alternative Processes. The exhibit runs from March 26 through May 6th. 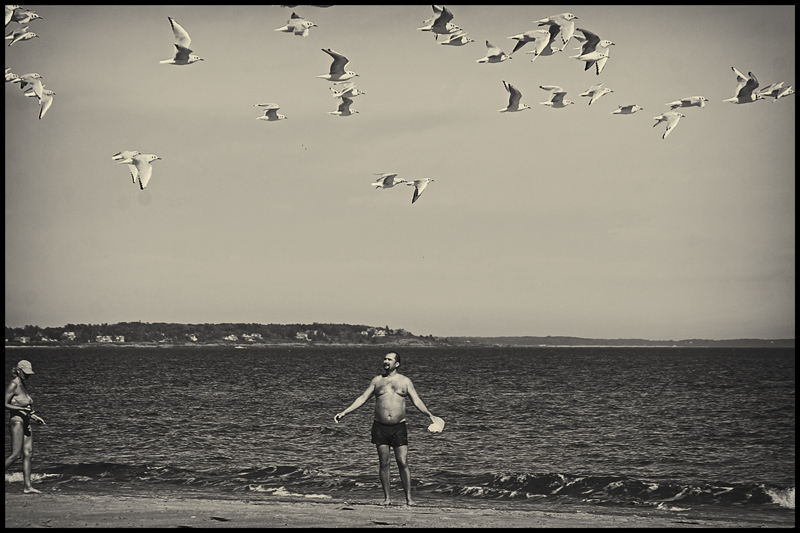 From May 1st though May 30, CMCA is sponsoring an exhibit of photographs, curated by Bruce Brown, called “Highways & Byways” in the Lewis Gallery (Portland Public Library). I feel fortunate to have had some photographs chosen to be part of this this exhibit. The photograph below, called: “View from the Brouwer” is one of the photographs selected for this exhibit. The Brouwer is a hotel in Amsterdam where we have stayed from time to time. The owners claim to have a room where Rembrandt slept at one time! In 1966 I was a young Merchant Marine Officer in the service of the K.N.S.M or the “Royal Dutch Steamship Company”. We would frequently make trips to the West Coast of South America, picking up and delivering freight to harbors in countries from Columbia to Chile. 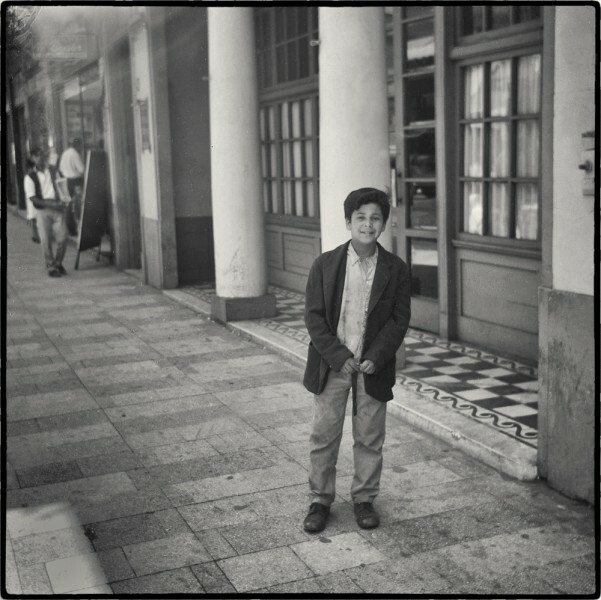 Recently I found some 2 1/4 negatives that I took during one of those trips. I think most of the pictures were taken in Chile and maybe some in Peru. Although I did take some photographs from time to time I did not consider myself a serious photographer at the time. 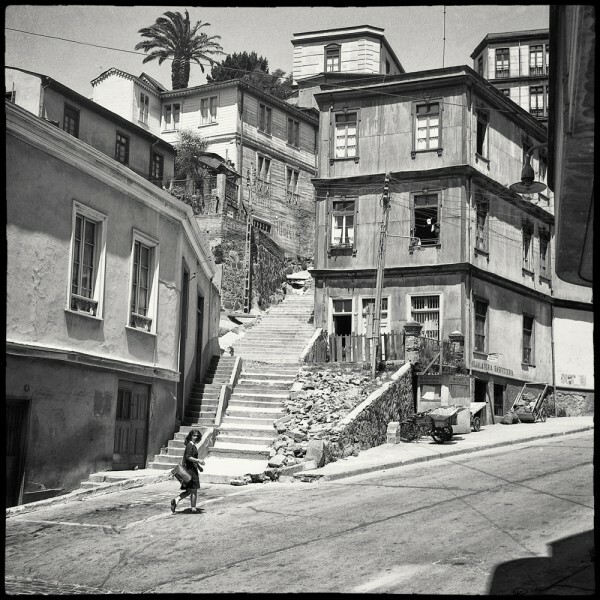 Looking at these early photographs I am surprised to recognize the way I “see” when I take photographs nowadays. Addison Wooolley exhibit at 3fish in March 2015! On Friday March 6th at the 3fish gallery on Cumberland Ave in Portland we will have the reception for the March exhibit of the Addison Woolley Group! 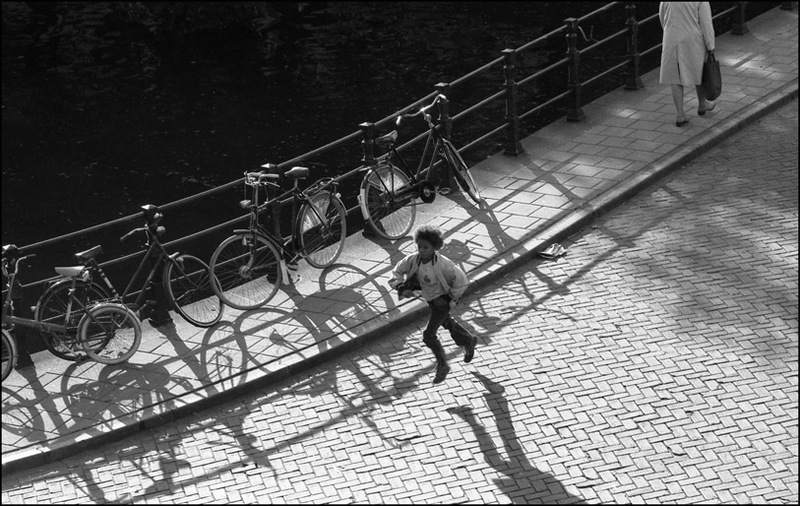 I will be showing photographs from the series “Red Lights” mostly taken last year in Amsterdam. Some of these photographs appeared earlier in this blog, some you will find in the Color Gallery, some in the Black & White Gallery. Hope to see some of you at the reception! In September 2014 I will be participating in two new exhibits: Vox Photographs will have an exhibit called URBAN, which is going to be shown at their new location oat 334 Forest Avenue in Portland. The opening reception will be on September 18th from 4 t0 7 pm. 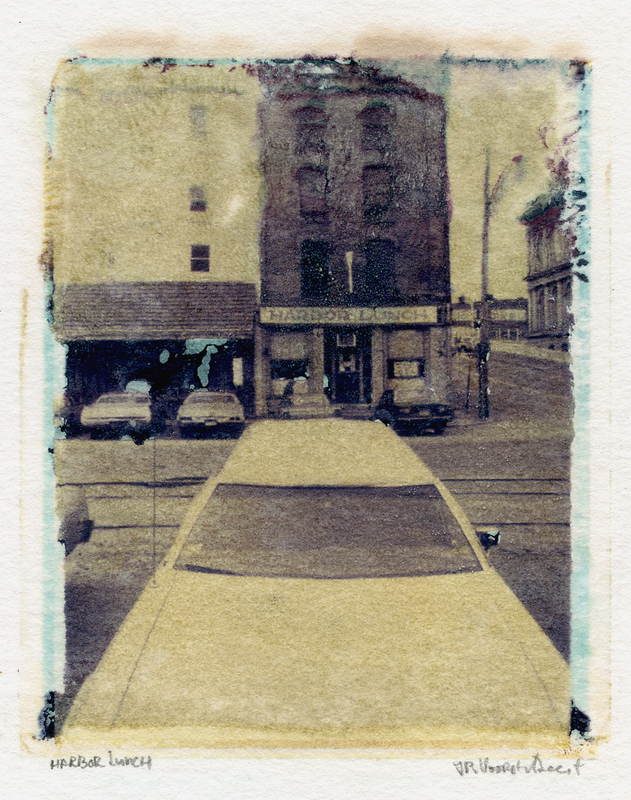 I will be showing an Archival Pigment Print from a Polaroid Transfer. It is called Harbor Lunch and shows the facade of the old restaurant on Commercial Street in Portland. On the right is Pearl Street and the Customs House. The other exhibit will be at ” Engine” in Biddeford and is by the Addison Woolley Group and is also addressing the Urban subject matter. The name of the show is “Text + Texture, an Urban Canvas”. The opening reception is on September 26th from 5 to 8 and the show will run till November 22nd. Walking through Biddeford it is not easy to get inspired. The town needs work, there is an effort going on to revitalize some of the wonderful old mills. I found a local working class pub called “Pops” where it was pretty lively, even at about 1 pm. There was a great atmosphere of people having a good time and knowing each other well. People were friendly and welcoming, even to a photographer they did not know. We also spent a week on the Beach, in Ocean Park, Maine, the week after Labor Day, when most tourists have left and the beaches again belong to the locals. The weather was great and the beach , as always, gives great opportunity to shoot. There is always the sea, the beach with its low tides, the changing weather patters and the people.. Here is a shot I took of some of the beach occupants that day. I like the shot because all the birds fall into the top portion of the photo, the man is all in the bottom part with the dark ocean as back ground while luckily his head does not get cut off by the horizon. The sun lights his body perfectly. His arms give you the feel that he is conducting the orchestra of nature. The book was published in 2011 and the small collection of photographs I am showing in this exhibit is an ongoing extension of the same thought. 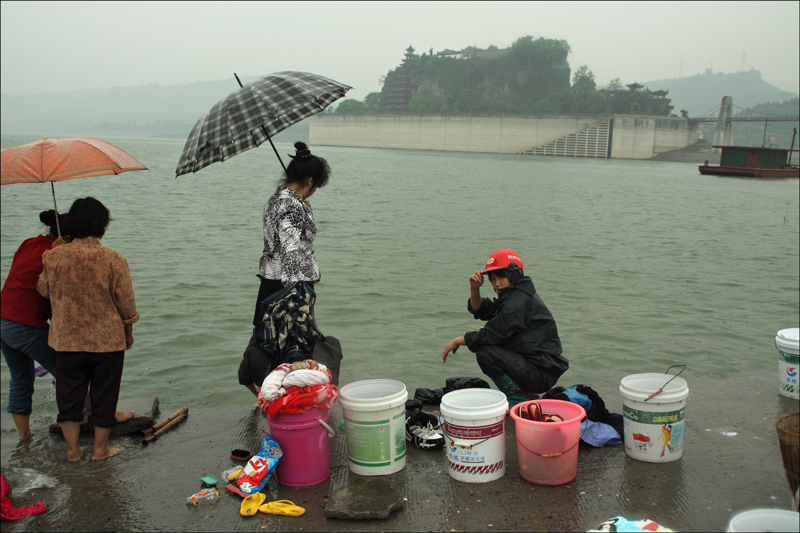 I am showing 5 photographs of Paris, 2014, three of Ocean Park (see above), and four photographs of China (2013). The one below was taken in Yichang, China. I have updated some of the galleries. 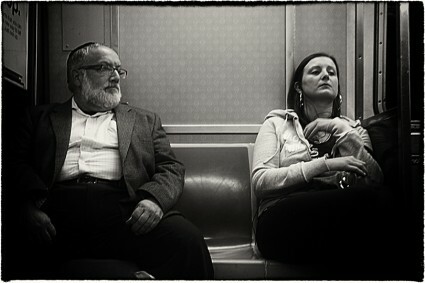 A number of NYC subway shots were added to the Black & White /Street gallery. Lately I have been doing quite a few of these and I am intending to eventually put them in a separate gallery. I added some 2 1/4 work to the “New Stuff” gallery. 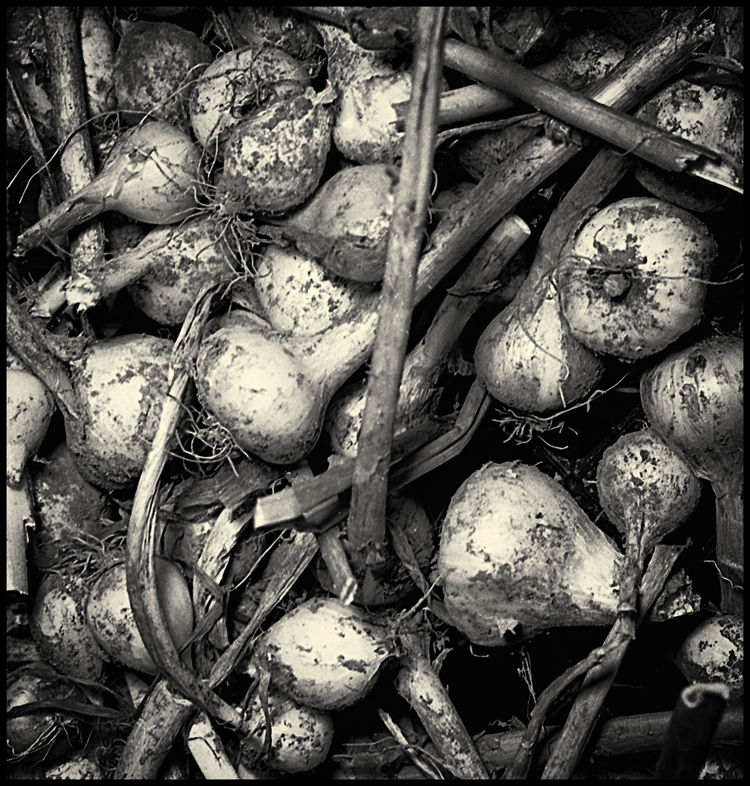 These are silver gelatin prints that I made of my garden vegetables last year. While In Amsterdam when strolling through the historic (it served the purpose way back in the 17th century) red light district, I could not help but to photograph some of the activities going on.., I loved the reflections in the windows, showing the action in the street. These I kept in color, maybe later to be added to a series called “Red Lights” . Some of this work will be exhibited this June. 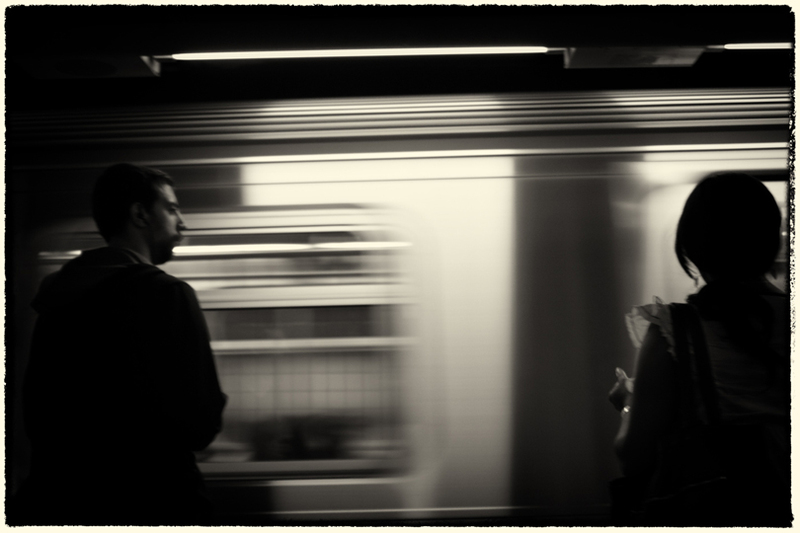 The subway work will be shown at 3fish on 377 Cumberland Ave in a show with the Addison Woolley Group. It will run through June and the opening reception will be on first Friday, June 6th from 5 to 8 pm. 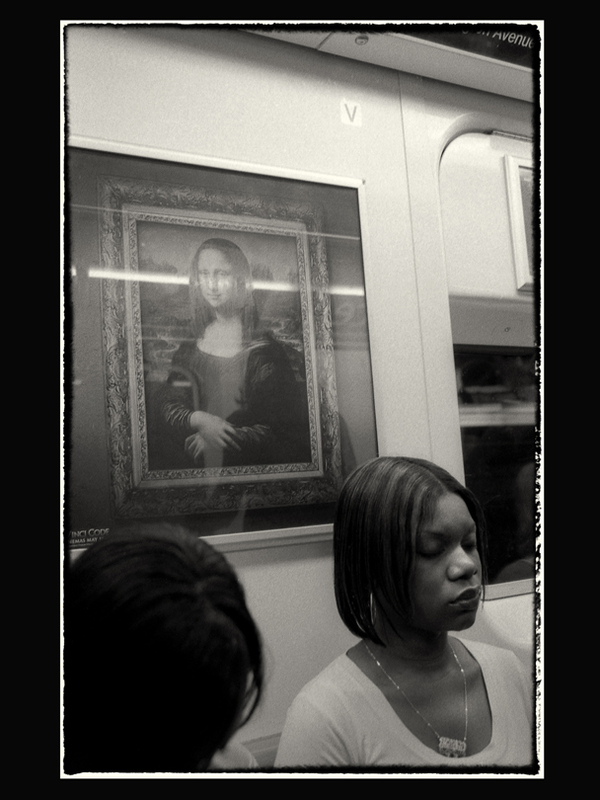 The subway photographs are a nod to the wonderful 1938 “Subway Portraits ” by Walker Evans. It is strange to compare the differences and similarities between a subway ride in 1938 and in 2013. You will find “class” disappears in the subway, everyone in their own world, many people packed in but still by themselves, reading their own stuff, listening to their own music and alone with their own thoughts. My Garden Vegetables will be shown at “The Pilates Center of Maine”. 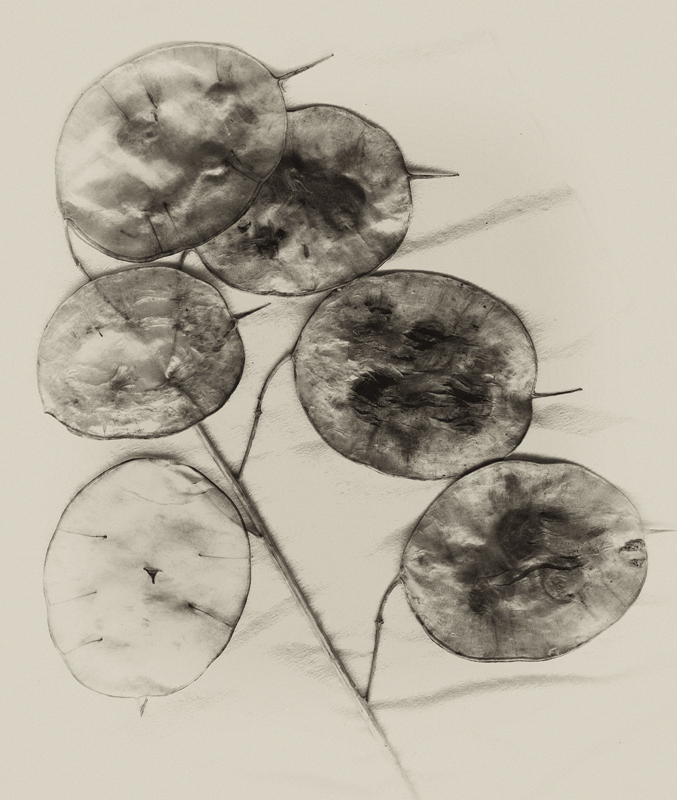 It is a group show with photographs by Chris Church, installations by Christine Williams, etchings by Andrea van Voorst van Beest and my own vegetable photographs. Reception is from 5 to 8 pm during the artwalk on June 6th. The Center is located at 44 Oak Street, on the corner of Free Street. Because Polaroid Film is not available anymore I have been using Fuji instant film to make transfers. The process is a bit different, you use dry receptors instead of wet and some of the process has to be done in the darkroom. The emulsion is a bit different but the overall results can be quite satisfying. Here is a shot of some Monarch Butterflies that I took a year ago in the mountains of Michoacan in Mexico. 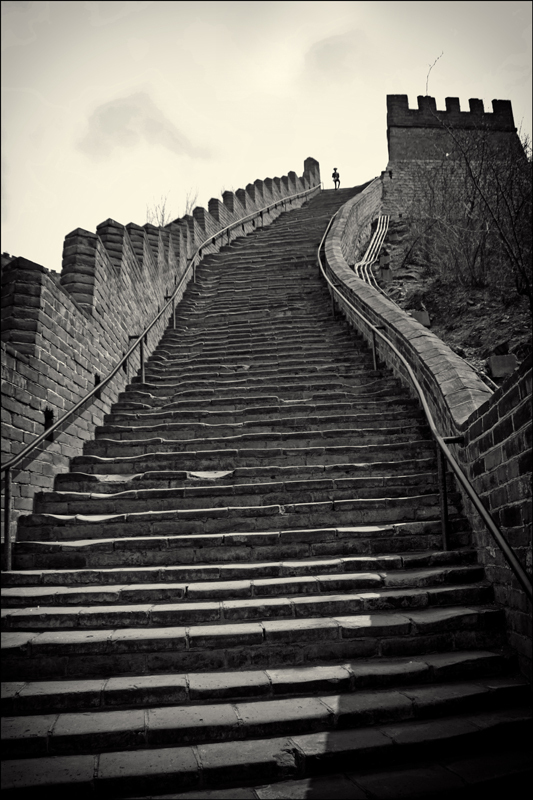 Added in the Alternative Processes gallery you will also find a transfer composite (Mozaic) of the Great Wall of China and some other “Fuji” transfers. These will also be available printed in larger sizes (22×30 and some 30×40) as Archival Pigment Prints, printed on Canson Edition non coated acid free paper. In the “Alternative Process” gallery you will also find some botanical images in Black and White, these will also be printed and available in large format Archival Pigment Prints. Two of my images will be in the “Images of Change” exhibit, organized by Greater Portland Landmarks, curated by Suzan Danly , Bruce Brown and Earle Shettleworth. 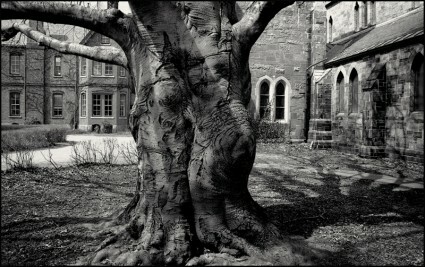 Here shown is the image of the big old tree (Beech?) in the yard of St Luke’s Cathedral in Portland. 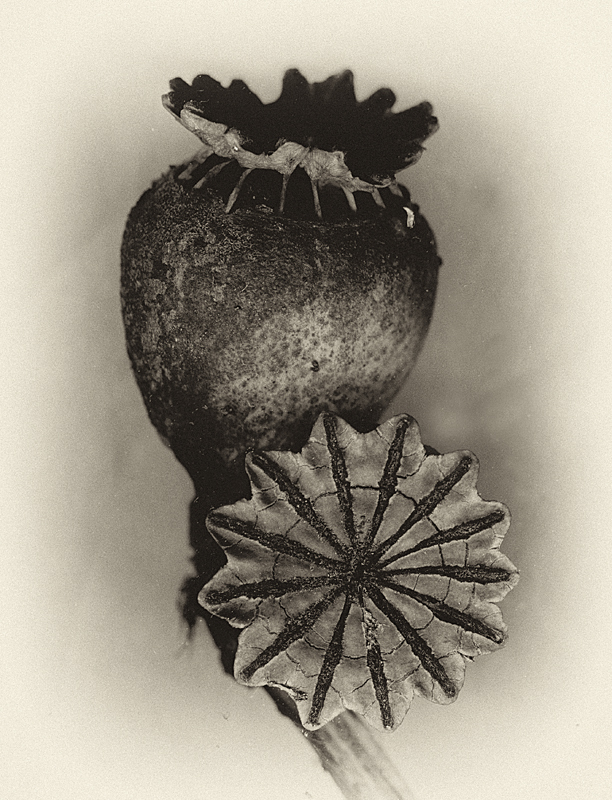 The exhibit will open in January at the Lewis Gallery located in the Portland Library. 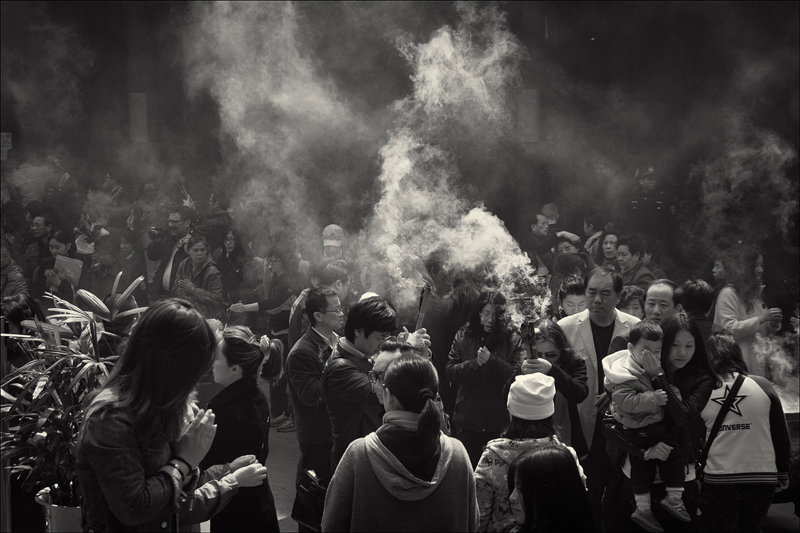 Happy to report that the shot in the Buddhist temple in Shanghai that was featured in the last blog announcing my “travel gallery” will be shown in the 2013 Competition Issue of the “Photo Review” magazine. This issue is expected to come out in the beginning of 2014. 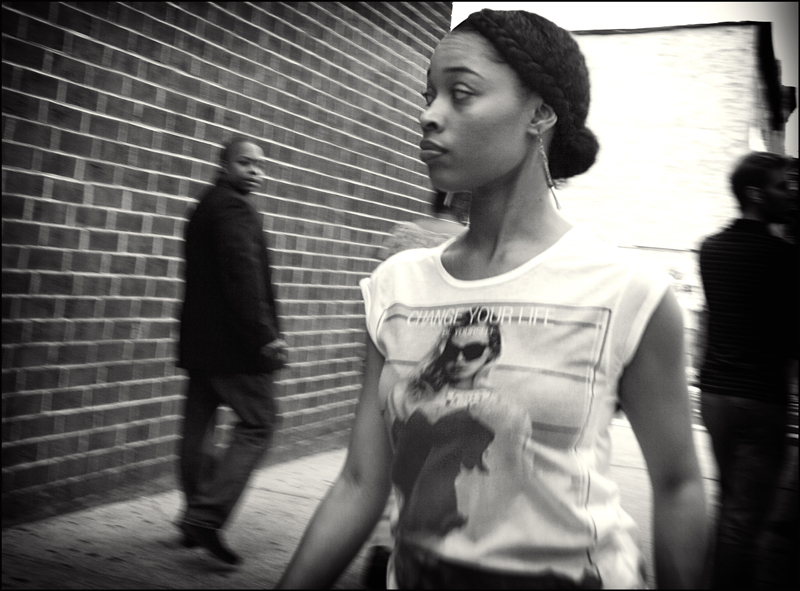 In my mind, the word “Street Photography” is about more than stuff you shoot on the street. It has to do with spontaneity, the spur of the moment, shooting the way life is, unaltered, unposed. A lot of my work falls into this style of photography, a bit documentary but very much dependent on the decisive moment. In the color gallery I added a shot taken on the beach. My feeling is that it’s a “street shot”, (One might disagree) not posed, quick, the girl was just there, at the right moment, unrehearsed and natural. The other one is in the B&W gallery, it’s called “Mermaid in a Taxicab”. A street shot? Maybe, make up your own mind! A new gallery was just added to the website. 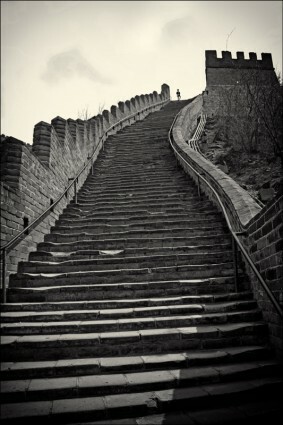 Is is called: ” Travel” and it will be dedicated to recent photographs just brought back from certain trips. This way there will not be any need to split up a group of photos into categories such as “Color”, “B&W”, “Landscape” etc. The story can now be told in one cohesive gallery. 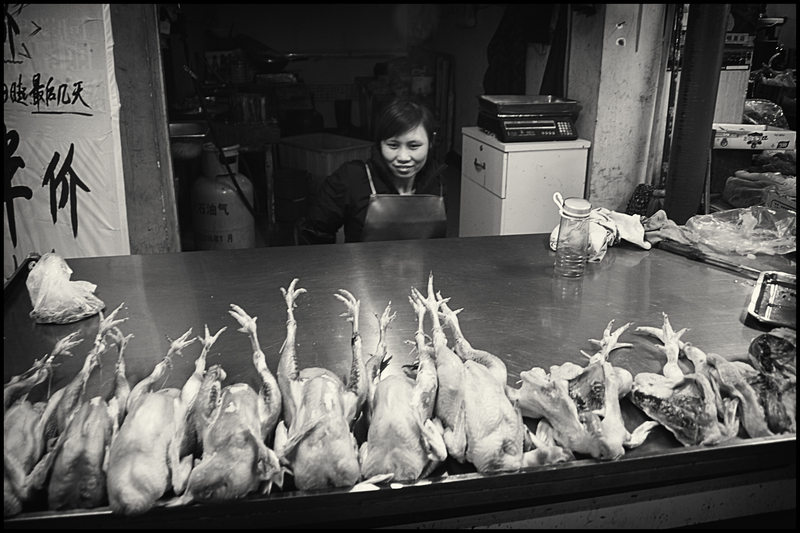 The first series featured in this gallery will be recent photography from a trip to China. It will contain both documentary, street and landscape photography. August 2013: New exhibit Addison Woolley @ 3fish! The second exhibit by Addison Woolley artists will be opening at 3fish gallery on Friday August 2nd. It is a group show with 13 artists, mostly photography but also some oil paintings and woodcuts. 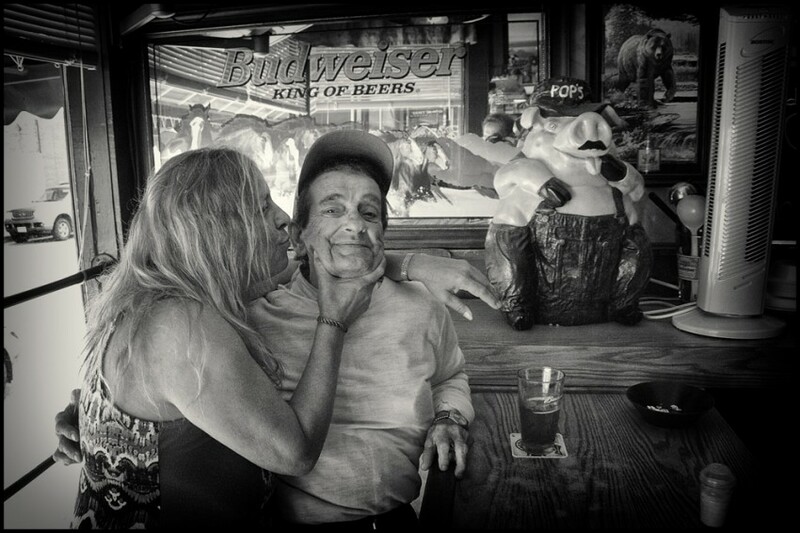 I will be showing four photographs in the “street/documentary” style, as always documenting the stuff going on around us.